Spread small amount of salt all over the fish. Stuff the fish with the mixture of ginger, tomato, onion and salt. 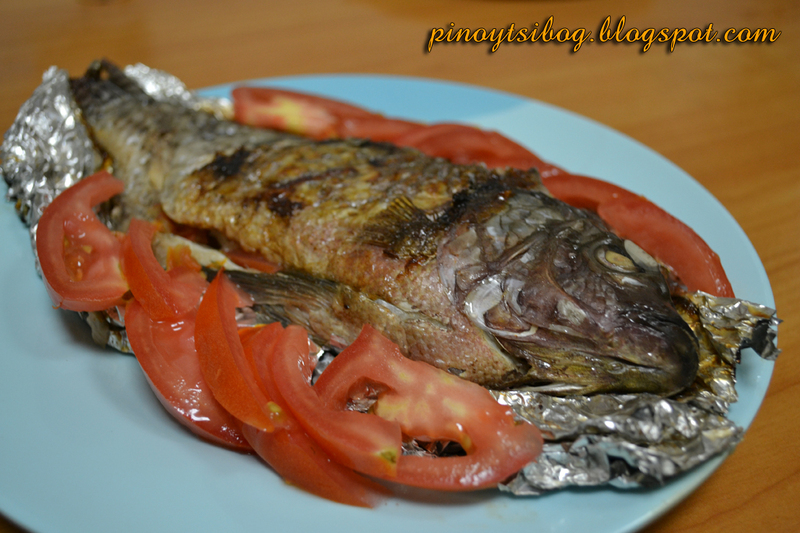 Wrap the the fish with banana leaves / aluminum foil. Cook over hot charcoal or electric griller for 5-7 minutes each side or until the banana leaves have burned. Alternatively, you can have it pan fried.